‘You had a heart attack. Well, you must rest in bed and take all the strain off your heart for six weeks, at least.’ I have calculated that this action caused the premature death of more people than died in the first and second world wars, Stalin’s pogroms, and the holocaust, added together. No, this doesn’t happen anymore. But many things still do. One such thing is the obsession of the medical profession with attacking coronary arteries. The arteries that supply blood to the heart. In many people these arteries develop thickenings (plaques), which can gradually narrow the artery and reduce blood supply to the heart muscle. This can lead to angina, and suchlike. People also believe this means that a sudden blood clot forming over a narrowing can completely block the blood supply and cause a myocardial infarction (heart attack). People think this, but it is not necessarily true. Arteries without narrowings can suddenly block too – and if they do, the outcomes are usually far worse. Oh yes, the counterintuitive world of human physiology. ‘In 1967, the Argentine surgeon Dr. René Favaloro, working at the Cleveland Clinic, successfully used a vein graft to bypass an obstructed coronary vessel. Like Edmund Hillary and Tenzig Norgay, the first climbers to reach the summit of Mount Everest, or Roger Bannister, the first to run a four-minute mile, Favaloro opened a terrain deemed beyond human reach. In coronary artery vascular surgery he sundered the barrier to the seemingly impossible. Within ten years 100,000 patients were subjected to coronary bypass operations in the U.S.; by 1990s the number had quadrupled.’ Essay by Bernard Lown. I suppose everyone has heard of the Coronary Artery Bypass Graft (CABG), pronounced cabbage by most doctors. What a wonderful idea, you use a bit of vein (sometimes a bit of artery, if you can find one) to bypass the narrowing. Huzzah! You would think that someone would have tried to find out if it did any good, or not. But no-one really wanted to know. This operation bypassed a narrow coronary artery, increasing blood supply to the heart. This is such a simple and straightforward idea that to question it was to question common sense itself. Which is why we ended up with four hundred thousand people being operated on each year in the USA alone. Yet no-one had ever done a study to find out if it did any good. And so he set out to try and find out if CABGs did any good. This was very tricky as he found that the moment he did an angiogram (an x-ray test for looking at coronary arteries), anyone who had a narrowing wanted a CABG straight away. At first, could not recruit a single person into his ‘control’ arm. Eventually, though, he did manage to study this area and he found that…. Of course, as is the way of such things, the world moved on. Instead of CABG, we now have angioplasty. This is a procedure where you open up the artery from the inside using a small balloon, or inserting a wire mesh (stent). Angioplasty is now taking over from CABG as the intervention du jour and, guess what, it is less effective than CABG – which makes it less effective than doing something that is less effective than doing nothing. Which means that every day it grows in popularity. Ah yes, the tyranny of the simple solution continues. I am indebted to Paul Rosch for sending me the essay from Bernard Lown on this issue. This entry was posted in Dr Malcolm Kendrick and tagged angina, CABG, cholesterol, Coronary Arteries, Coronary Artery Bypass Graft, doctor, dr. malcolm mckendrick, H.L Mencken, narrow coronary artery, Paul Rosch, scottish, statin nation, statins, the great cholesterol con on April 13, 2012 by Dr. Malcolm Kendrick. Have recently come across your very informative and refreshing website having been researching the effects of Simvastatin and cognitive function with respect to my 75 year-old mother-in-law. She had 3 stents fitted about 6 years ago (before I knew her) and by all accounts came out of hospital a ‘new woman’. However, she was put on a cocktail of drugs, including Simvastatin, which she took at a dose of 80mg until very recently (it’s been reduced to 40mg last week). She is a slight woman, about 5′ 3″ at the most, and had lost a lot of weight after a house flood about 4 years ago. When I first met her, about 3 years ago, she seemed absolutely fine mentally. Gradually, and particularly after a total knee replacement (under GA) about 2 years ago, she has started to get confused and has problems finding the right words for things. However, she seems to comprehend everything we say to her. Her husband has been diagnosed with a brain tumour (?malignant) and is on anti-epileptic medication – there is no intention of treatment as he is 81 and quite frail. They live 3 hours away from us and have carers in to administer their medications. She has been seen by a consultant who has been investigating her for dementia and she’s had a brain scan and a SPECT scan which shows some ‘parietal lobe change’ – but he said he was confused about her presentation as it didn’t fit the usual pattern. My sister-in-law showed him some articles about statins and brain and memory problems and he more or less dismissed it, saying that her statin medication should be discussed with her GP and wasn’t anything to do with him. 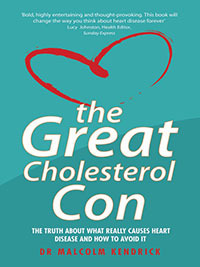 The GP said as she’s had coronary artery disease she must continue on statins so has reduced the dose by half, to 40mg. The consultant has now prescribed Rivastigmine patches and Omeprazole (as my mother-in-law was having abdominal pain – which we had thought could also be statin-related). She is terrified that if she doesn’t take what the doctor has prescribed, she’ll have a heart attack and die. The GP also didn’t seem to think that Simvastatin could be contributing to the memory problems and confusion (and reluctance to go out into public, which I’ve also read can happen) – and more or less implied that we were grasping at straws because we were in denial about the dementia. (In fact, at that stage the consultant hadn’t actually diagnosed dementia, but the GP seemed to think it had been…..a further lack of communication) but there was no additional care help being offered for them at home which they are increasingly in need of as their respective conditions worsen. The bottom line is, how can we stop the statins when the GP won’t agree and the carers that visit the home every day have to witness the drugs being taken? How can we approach the consultant and get him to understand that her ‘dementia’ may not present in the usual way because it isn’t the usual dementia? We feel powerless to do anything. I would have thought that the statins should be stopped and the patches and Omeprazole shouldn’t have been added as that complicates the picture and doesn’t show us if the statins are doing anything untoward. She and her husband are practically housebound now – because he has dizzy spells and isn’t allowed to go far, and she gets in a state of panic and confusion more and more each day. They both probably have vitamin D deficiency not to mention the lack of CoEnzyme Q10. They live on frozen ready meals as she’s too confused to remember how to use the cooker properly……and she says “I’m stupid……I can’t remember how to do anything….I’d like to be able to go into town again”. We’d like to be able to give her a chance to recover by seeing if stopping statins would help her…….but how, when the medical profession is against us???? Unless you live in some strange medical dictatorship your mother can refuse to take any medication she wishes. At present, however, it sounds as though your mother still wishes to continue on a statin, so you would first need to convince your mother to stop them. From what you are saying it certainly seems possible that the statins are causing cognitive problems (this is a recognised adverse effect in the data sheets). However, it is not possible to say that the statin in the cause for sure. In such cases it is probably best to the stop the statin for two or three months to see if the cognition improves. If so, re-start, and if symptoms re-appear you have ‘proof’ of causation. This would be what I would recommend in such cases. Dr Kendrick, many thanks for your reply. You are correct in that my mum-in-law would rather take the statin than take nothing and that some, if not all, of her symptoms are likely to be due in some part (at least) to Simvastatin. 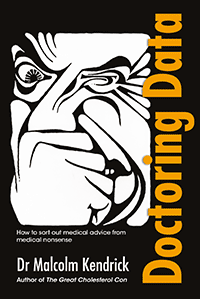 I agree that the best way to find out is for her to cease taking it – I am trying to persuade my fiance and his sister to see if her GP can prescribe something else other than a statin that will deal with the coronary artery risk problem – she already takes a daily aspirin, but I imagine there were other drugs around before statins became ‘flavour of the month’! I’ll pass on your advice and hope for the best! I have an update and a quandary….re the above posts. My mother-in-law saw her consultant psychiatrist who now says she has no evidence of dementia on her scans, but in his opinion must have a form of Alzheimers which would no doubt show up at post-mortem (!). He offered at trial of Memantine but when we read about the possible side effects, we decided agains it. However, we know that she doesn’t have any memory problems which is normally an early sign of Alzheimers so are still not convinced about his diagnosis. Her new GP had agreed to stop Simvastatin for a month – which she did, and has been slowly improving. Her aphasia is much less apparent and she is aware of any mistakes she makes in this respect. We as a family have noticed great improvements in her cognitive function generally. However, before this she had been on Rivastigmine for 2 weeks – which produced terrible side effects – hallucinations and aggressive behaviour, so we stopped those immediately – and these ‘side effects’ seem to be persisting a little and were not there before the Rivastigmine. The quandary – she saw her new GP the other day who did a blood test, and he says her cholesterol levels are ‘dangerously high’. I don’t know what the actual levels are…..but now he wants to start her on 10mg of Atorvastatin (the very drug that Dr Duane Graveline had so many problems with!). As she has a history of heart disease (ie had 3 stents fitted several years ago) we are wondering if statins would be justified in her case, but worried about starting off her cognitive problems again, just when things are improving. Unfortunately she is loathe to get much exercise and, unless someone is there to supervise her meals, she tends not to eat particularly healthily. Stress is also a factor as her husband (who has a brain tumour) tends to get her anxious as he can’t really cope with her behaviour which makes her worse. I realise you aren’t able to ‘advise’ in particular cases, but I just wondered what your opinion would be if this were a hypothetical case? Obviously her GP is following the current guidelines so it’s not easy to argue against him. From what I have read in your book and generally over the internet, it seems that in women with pre-existing heart disease statins may be beneficial to prevent heart attacks, but that overall mortality is actually unaffected……is this correct? PS I wish you had an ‘edit’ function on your site so I could correct my errors!! I love this blog, but it sort of confuses me. Please tell me if the answers to a couple of questions following are in your book. If not, would you kindly direct me to where to read an answer, if it exists, of course. If course, if you could answer directly that would be wonderful. 1. It sounds as if you believe stents are unnecessary. So let’s say you have a “heart attack”. You get rushed to the hospital, and an angiogram reveals a very narrowed right aorta to the heart. Is an angioplaty warranted, or is there a better way. 2. Anyway, the stent gets placed, and the current wisdom says you must take a blood thinner–say Plavix–for x months and aspirin probably the rest of your life, to avoid a blood clot gumming up the works. You also need to do this because the body will not initially accept the stent, and will form plaque there and that will gum up the works. Is this procedure warranted or is there a better way or is it indifferent whether you take blood thinners or not? 3. Since a stent is liable to “cause” an inflammatory process, you should for some time, take a statin as an anti-inflammatory precautionary measure. Is this precautionary measure nonsense or does it make good sense to take this statin. 4. What theory seems to best account for the narrowing of the artery in the first place, assuming it is something that has progressed from a previously normal state? Brenden, Firstly, slight pendantry. Arteries supplying blood to the heart are called coronary arteries, the aorta is the large artery that exists the heart, and carries blood to the rest of the body. I believe stents are unnecessary in ‘stable’ CHD. They do seem to be somewhat effective in unstable angina and/or a myocardial infarction (heart attack). The stent itself is an area that will stimulate blood clots to form – so you need to take an anticoagulant. Statins are anti-coagulants, about as effective as aspirin. The theory that best accounts for the narrowing of the artery is complex, and I am writing more about it shortly. Thank you very much, Dr.! As you doubtless surmised, my hypothetical case is mine in fact. I had a “heart attack,” and it was considered that an angioplasty was a life-saving necessity. I didn’t argue. The attack itself was quite strong and most unpleasant, but it seems only a very tiny portion of the heart was actually damaged, thank heavens. I was prescribed a statin, and a blood thinner (plavix). A daily aspirin as well. Also something for blood pressure (first captopril, which didn’t agree with me at all, and then we switched to telmistartan–also didn’t agree–and finally amlodipine); and finally something to slow the heart down a bit (metoprolol). Phew! After six months, and after having read about statins, I quit taking it. My cardiologist would probably have a fit if I told him–which I will do eventually–but I shall stick to my decision. I also take about 1-2 mg. vit. C daily, and also omega 3 fish oil (my decision, not the doctor’s). Having read more, I wonder how critical is the plavix and if the aspirin is enough–or conversely, depending on which one is less harmful in the long run. And does one have to take some anticoagulant the rest of one’s life, or does the body eventually “accept” the stent? Once again, many thanks for your kind reply and for a remarkable and helpful blog. All good wishes!